Harry Potter is one of the most famous and beloved characters of juvenile fiction, and today, July 31st, is his, as well as his creator’s, birthday. J. K. Rowling crafted incredible tales of bravery, cunning, and heroism, but she has stated that the books’ main theme is death. If you’ve had the pleasure of reading all seven books, you will agree with her statement. I’ll admit that I bought into the conservative view that we shouldn’t allow our young people to read books promoting the fascination of wizardry when the books were first released. I was teaching sixth graders at the time and saw them with the thick books at school, but I didn’t understand the hype. I later read in The Read-Aloud Handbook that these books inspired a whole generation of kids to read thicker books than they had ever read before, but that didn’t squelch my misgivings. This past March, I took my children to the library over spring break, and my ten year old son asked if he could check out the first Harry Potter book. Not having read it myself, I wasn’t sure if he should read it, but I agreed as long as we read it together. Little did I know that this would begin a wonderful time of reading and discussion between my son and myself as we raced through all seven books in three months. We couldn’t believe previous readers had had to wait a year between books when they were first released. We devoured them and returned to the library often, searching for the next book in the series and borrowing the DVDs to watch after we had finished each book. What I quickly learned in reading that first book is the stories are full of good versus evil, choices between doing what is right or what is easy, much like other popular book and movie series. We are avid Star Wars fans, and I believe the “force” in the movies is just as magical as the spells in the Harry Potter books. Many in my generation grew up with Star Wars and have no qualms in believing that Luke Skywalker is a good guy and should use the force to battle the Dark Side. However, those same people (myself included) are frightened when our children want to read about a young wizard who uses magic to fight the Dark Lord. I have read books and articles expounding ways to talk about Christianity as it relates to both Star Wars and to Harry Potter, and I discussed some of these with my son as we read. That being said, the Harry Potter books are some of the most exciting books I have ever read and are definitely the most interesting and enjoyable my son and I have read together. We laughed together, and I cried at times as we followed Harry and his classmates through their years at Hogwarts. In this coming-of-age series, Harry discovers who he is, makes friends and enemies, maintains relationships, suffers loss and humiliation, stands up for what is right, experiences joy, sadness, triumph, defeat, and love. It offers lessons for children of all ages and even adults. Having read the books and loved them, my son and I were greatly disappointed in the movie versions, so don’t judge the books by the movies. 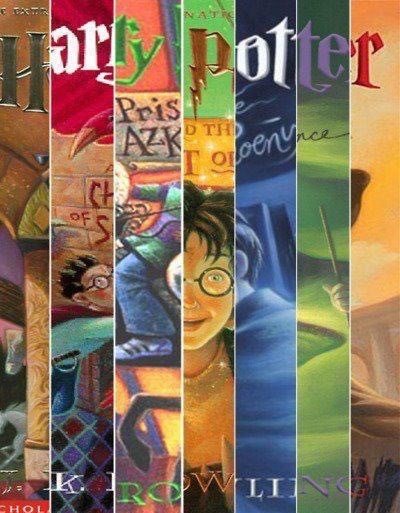 If you haven’t read any of the books, start with the first one and read all seven because the complete resolution to the problem in the first book doesn’t occur until book seven. 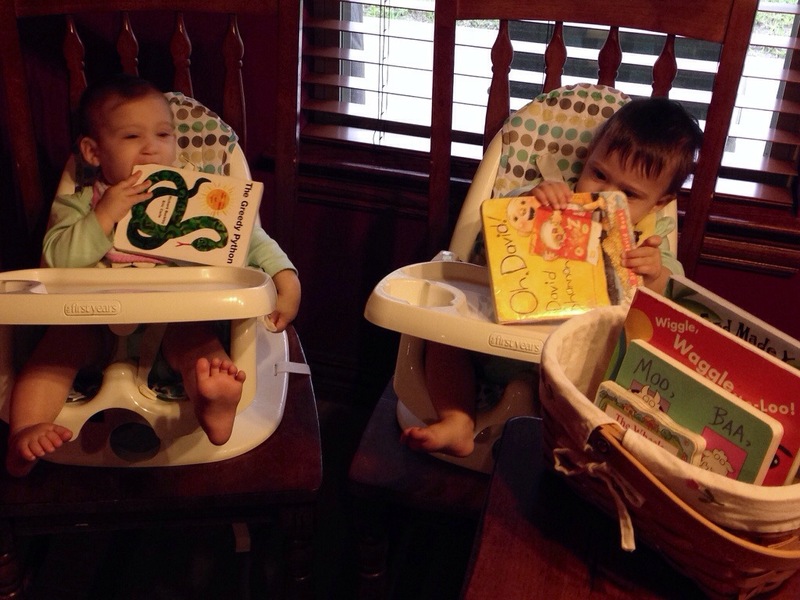 We have had difficulty finding any comparable books to read together since finishing the last Harry Potter book. A new book came out today, and we can’t wait to read it. When I submitted my last book review on the publisher’s website, I noticed they now have a rewards program called Tyndale Rewards. Click the link to sign up and get started with 25 points. I earned 70 points the first day I joined, and that was enough to earn a free book, which is being sent to me free of charge. I love receiving free stuff, especially books. Check it out! Author Melissa Tagg recently had the opportunity to interview Wilma “Char” McNabb, mother of former NFL quarterback Donovan McNabb. It’s an interesting article and focuses on Mama McNabb’s dedication and efforts to support her son’s dream. While her love for and devotion to her son are admirable, I finished reading the article wondering if Mama McNabb trusts in God or her son. After I listened to the song she wrote, I was more troubled. One line states, “He gives me strength when I am weak,” and another, “He’s my light when I can’t see.” These lyrics would be perfect in a praise song to God, but these are describing her son. Am I misinterpreting this? Read Melissa’s post and let me know what you think. While you are there, be sure to enter her giveaway for a “Dream” bracelet, two DVDs, and a Target gift card. My husband is traveling to Ghana, West Africa this month as part of a team from our church on a medical mission trip. This will be his fourth trip to Ghana, but he has been planning to do something special on this trip, and we just found out that his plans may not come to fruition. Three years ago, after his second mission trip to Ghana, he and a friend with a common passion began forming a nonprofit foundation to dig water wells in Ghana to provide clean drinking water for people in remote villages. Since the formation of Firehouse Wells, they have been raising funds and accepting donations so that they could dig a well during the mission trip this January. We have established a relationship with a pastor in Ghana who has been working to find a crew to dig the well, but no one wants to travel to a remote area for just one well. 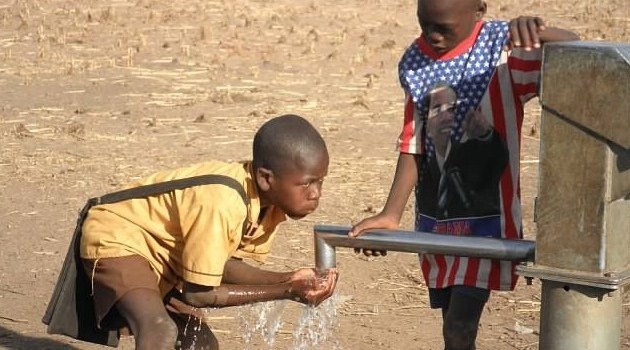 Now we are faced with the seemingly impossible task of raising at least $4,300 in the next week to fund two wells, so a crew will be willing to dig them. Please help us provide clean water for the people of Ghana. You can visit FirehouseWells.org to make a donation in any amount by credit/debit card. If you would rather donate cash or send a check, please contact me for the address. Their website is having some issues, but you can read more under “About” and click “Donate” to submit a donation. In Luke 18:27, “Jesus replied, “What is impossible with man is possible with God.” We are trusting Him to do the impossible. I love to read almost any type of fiction, and I love learning about different places, eras, and cultures through fiction. In the last month, I have visited Alaska, Texas, Louisiana, England, Scotland, the Smoky Mountains, and Pennsylvania via novels. I have learned about the Great Depression and the Civil War, cruise ships and trains, home improvement and restoration, scuba diving, cotton picking, cooking, etc. I have experienced it through the eyes of the rich and poor, young and old, male and female. I love learning new words from authors and wish I had opportunities to use fancy words such as nebulous, nefarious, diaphanous, pejoratives, epiphanic, wizened, somnambulism, and others that provide lyrical prose and more accurate descriptions than vague, evil, see-through, insults, illuminating, wrinkled, and sleepwalking. I find myself mentally repeating vernacular phrases, colloquialisms, and out-dated sayings after reading them, and I wish I was confident enough to use them in conversation, but I fear that someone will think I am insane if I say “my feet found purchase” instead of “I landed on my feet”. I enjoy losing myself in a romance, staying up late into the night with a suspenseful novel, finding dialogue or situations humorous, relating to characters’ feelings and struggles in life with love, loss, and faith. A good book can make me laugh out loud or bawl like a baby; the more exceptional ones can make me do both. I have been angry at authors and yearned to get to know other litterateurs. I have read novels that helped me understand myself better, taught me how to forgive or move past hurts, and gave me insight into the actions of others. Fictional characters have kept me company on lonely nights, given me adult conversations on long days of caring for babies, and entertained my thoughts long after their story has concluded. All of this makes me wish I could pen my own tales of adventure, suspense, and romance, but my imagination is lacking in the literary department. Fortunately for me, there is a plethora of fiction from which to choose. I love to read all sorts of books–just nothing too scary or gory. Many years ago, I had two favorite authors: John Grisham and Agatha Christie. I loved mysteries. Then my in-laws introduced me to Mary Higgins Clark and Catherine Coulter, and romantic suspense novels became my favorite reading material. About this time, I also read Nicholas Sparks’ The Notebook, which is probably my favorite book. It’s definitely the only one I’ve read several times. I read every book I could find by these five authors and waited expectantly for each of their new books to be released. The nice thing about reading the classics, and even historical fiction, is the timelessness of the story. When you pick up a novel by Jane Austen, you know the setting will be the England of the late 18th century or early 19th century. When you begin a Western, you know you’ll be reading about the American Old West. In both of these settings, the reader knows what to expect in terms of technology or the lack thereof. There were no phones, no electricity, no running water, etc. Contemporary novels written in just the last ten years have become dated thanks to the invention and supposed necessity of cell phones and, more recently, smart phones. In the past few years, I have been reading a lot of Christian fiction from our church library, and while there are plenty of new releases, many of the books I have enjoyed were written in the last ten years or so. It is interesting to read something that is just several years old and realize how our lives have changed and how dependent we have become on being able to have instant communication. When I begin to read a contemporary novel, I now look at the copyright date to orient myself before I begin to expect the characters to have cell phones with them at all times. I appreciate when authors maintain the integrity of the characters in their series. Even though Dee Henderson wrote Jennifer in the past year or so, the story was set before the other O’Malley books, so the characters carried pagers instead of cell phones. It was something small that might not be a big deal, but I’m sure she knew her readers would not expect the characters to have our current technology. Even though this detail dated the story, it was important. While being “dated” is usually not a good thing, I prefer reading about the lives of characters who seemed a little more relaxed and less technology-dependent than we are.